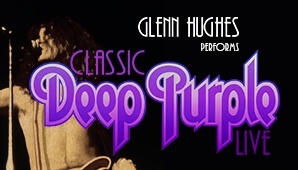 Glenn Hughes, who is touring Australia and New Zealand with a show of Deep Purple music, cut his Christchurch appearance short after suffering some sort of "medical event". Hughes was at about one hour into his show at Horncastle Arena when, according to some sources, he left the stage. Other reports say he was no longer able to stand on stage and was taken away by paramedics. One source told the New Zealand Herald that Hughes had complained throughout the show about having a cold. According to his publicist, he was "comfortable and resting" and that he would be reassessed on Wednesday to decide if he could continue with the tour. He was scheduled to play Michael Fowler Centre in Wellington that night. Glenn's band, Black Country Communion, released their new album BCCIV last Friday. Hughes is our guest on the current VVN Music Interviews podcast.